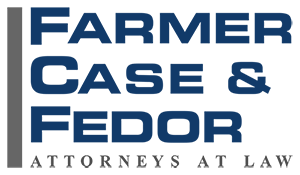 John M. Fedor joined Farmer Case & Fedor as a Partner in August 2004. In addition to a broad general civil litigation practice representing insureds, John directly serves clients in the international hospitality and convenience retail industries and specializes in state and federal court litigation involving negligence/premises liability/negligent security, civil rights/discrimination claims, employment law, general business litigation, professional negligence and Americans with Disabilities Act analysis, consulting and litigation covering both accessibility and employment issues. John was born and raised briefly in northern New Jersey, where seasons are distinct and identifiable, before being spirited away to California’s Bay Area. He received a B.A. degree with Honors in Political Science from California State University, Chico in 1986, concurrently earning a Paralegal Certificate through completion of a pre-law curriculum. John then spent time working as a paralegal in a private law firm and an Assistant Law Librarian for the Butte County Law Library before moving on to San Diego, where he attended the University of San Diego Law School, graduating in 1990. Throughout law school, John was actively employed as a law clerk with prominent law firms in San Diego and Los Angeles. Additionally, he represented clients through the University’s Legal Clinic, arguing and prevailing on dispositive motions in federal court cases.After graduation and admission to the California State Bar in 1990, John joined a small San Diego law firm where he had the unique experience of working for the first 14 years of his legal career. In August of 2004, John experienced the sadness of leaving the only firm he knew and the excitement of beginning a new chapter in his legal career when he joined Farmer & Case, an opportunity that allowed him to join a talented group of attorneys, including his dear friend and father of his godchildren, Anthony (Tony) Case, and to expand his legal practice to encompass a wider range of litigation and transactional matters, including professional errors and omissions and real estate litigation. John is admitted to practice before all California courts, the United States Court of Appeal, Ninth Circuit, and the United States District Courts for the Southern, Central, Eastern and Northern Districts of California. He is an Arbitrator on the San Diego County Consolidated Court Arbitration Panel. 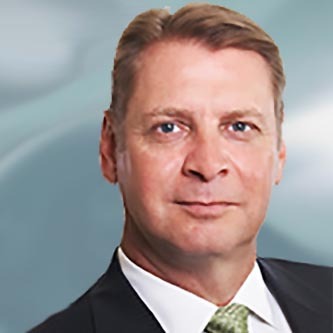 His professional memberships have included the San Diego County, California and American Bar Associations, San Diego Defense Lawyers Association, Association of Trial Lawyers of America and American Inns of Court – William B. Enright Chapter. When not working or mentoring younger lawyers, John can most often be found traveling, piloting small planes or on the golf course. Occasionally he shows the skills that helped win a 1998 ASA National Championship and earned him All-American Honors when he plays on the Farmer Case & Fedor co-ed softball team, but he prefers to remember those days fondly as he involves himself in more sedentary endeavors.Following a work ethic, dedication to client service and morally principled business sense instilled by his father, John is a practitioner who zealously represents his clients while adhering to the strict principles upon which the judicial system is founded. Recognizing that right or wrong do not always translate into winning and losing in this day and age, John utilizes his analytical skills, legal experience, street smarts and common sense to identify issues, predict results and finally to counsel his clients with their interests in mind, which he believes is the best way to serve and satisfy the client.